Good News! We are adding more ways to withdraw your earnings from OnlyFans! From today we have implemented quicker direct bank transfers as well as international transfers and eWallet payment methods. Creators now have a range of payment options to choose from in the banking section of your OnlyFans account the next time you log in. 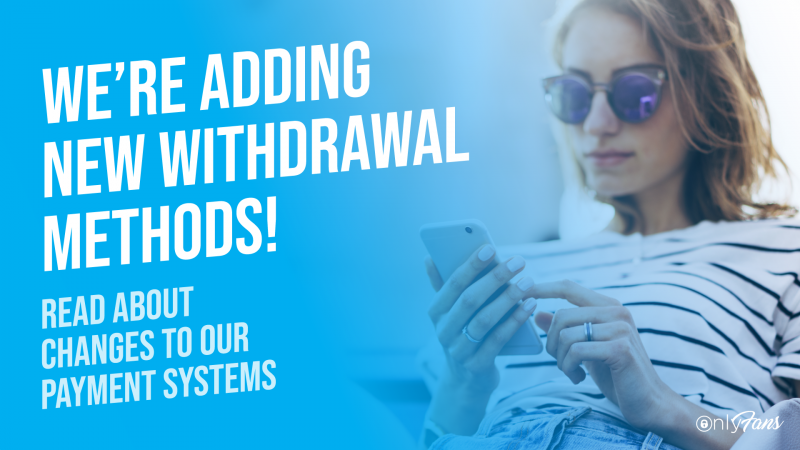 We are introducing Direct Transfer (OCT) to creators across a range of countries which will lower the minimum withdrawal limit right down to $20. Direct Transfer (OCT) Payments utilises the push payment capabilities of VISA Direct and are processed by Securion Pay, a PCI Level 1 compliant company. Transfers are faster than conventional bank wires, with a typical processing time of under 24 hours. Below is a breakdown of the payment options available for each region.